Back in March Google announced the Google News Initiative (GNI), an organization-wide effort to improve the journalistic value of Google’s services and ultimately “help journalism thrive in the digital age”. The initiative took aim at everything from Google’s flagship Search to YouTube, and now the company have unveiled the latest step in this ongoing plan. Establishing a working group with news organizations and experts from around the world to help develop new product features, improve the news experience on YouTube, and tackle emerging challenges. Early member of the working group include Vox Media, Jovem Pan, and India Today. Providing innovation funding across approximately 20 global markets intended to support news organizations in building sustainable video operations. Funding will be provided on an application basis to news organizations of all types. Expanding the support team for news publishers. These specialists will be based around the world and support partners with training and best practices in formats, audience development, day-to-day platform operations, and sophisticated technical integrations. 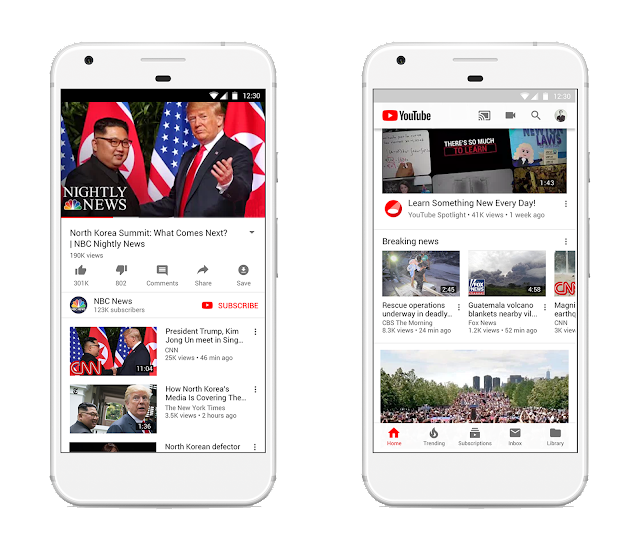 YouTube are also making an effort to provide more sources and context relating to breaking news events, such as providing a short preview of news articles in search results on YouTube that link to the full article during the initial hours of a major news event, along with a reminder that breaking and developing news can rapidly change. Both the Top News and Breaking News features will also be expanded, with the company stating their intention to launch these features in a further 17 countries in the coming months.